When temperatures drop below freezing — and as we’ve seen recently, even into negative degrees — it’s common for homeowners to turn to space heaters for some supplemental warmth. It’s easy to imagine your heating bill skyrocketing as you bump up the heat a degree or two to combat the cold. That’s why the space heater is such a popular option. 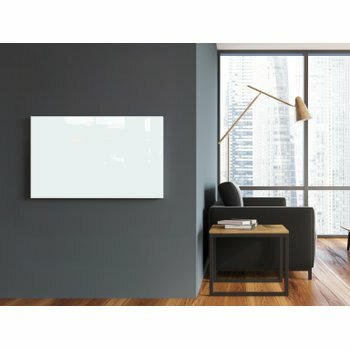 You can heat only the area you’re in without adding significantly to your electric bill. And while this concept of supplemental heat is good, space heaters can be more dangerous than most homeowners realize. Space heaters were responsible for almost half (43 percent) of home heating fires in the United States from 2011 to 2015, according to the National Fire Protection Association (NFPA). More so, they accounted for 85 percent of home heating fire deaths. Oftentimes, these fires start because space heaters are placed too close to flammable objects, like furniture, clothing and bedding. Luckily, safe alternatives to space heaters are available with the click of a button. Radiant panels work the same way as space heaters — but without the same risk. Like space heaters, radiant panels get very hot in order to warm up a room — they are not safe to the touch. However, WarmlyYours Radiant Heating’s Ember plug-in radiant panels only require a minimum of 10 inches between the panel and any objects for safety. Plus, they feature built-in sensors that ensure the units don’t overheat as well as automatic switches that will turn the unit off if it begins to overheat. Unlike space heaters, radiant panels do not blow heated air throughout the room. Radiant heat uses electromagnetic waves to transfer heat to the people and objects in the room. As a result, the system is quiet, energy efficient and non-allergenic because it doesn’t distribute dust and other allergens while it’s heating. Plus, radiant panels differentiate themselves by complementing a home’s décor instead of being an eyesore that comes out of storage every winter. Radiant panels are available in a wide range of sizes and colors to suit any home. For more information, click here. If you’re open to a more permanent solution to the cold, you might want to consider installing an electric floor-heating system. Most commonly, these systems are installed in bathrooms and kitchens, where the cold can be the most unbearable; but they can actually be installed in any room of the house. WarmlyYours offers radiant floor-heating systems that can heat under virtually any flooring, including tile, stone, hardwood, laminate and even carpet (in the United States). These systems provide even heat in the areas you need it most. 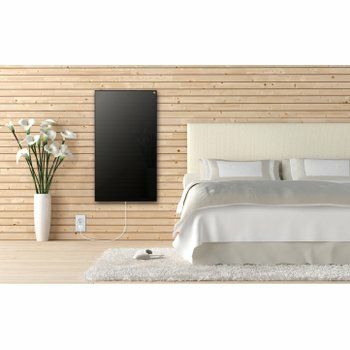 They can also be programmed to turn on and off (or up and down) as needed, maximizing their energy efficiency and saving you money. And best of all, you don’t have to worry about safety as long as they’re installed correctly. If you’ve ever considered replacing your floors, be sure to keep radiant floor heating in mind. Although these radiant heating options may be more expensive than a space heater, the peace of mind they offer is invaluable. Plus, they offer permanent heating solutions that any homeowner can appreciate. In-floor heating can even increase your resale value! 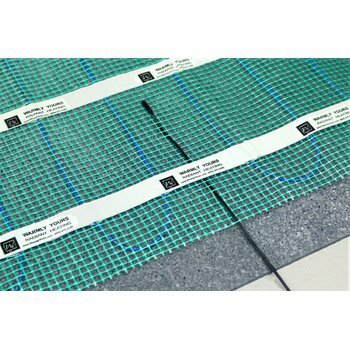 For more information, check out our range of floor-heating products here. Previous Post What is Heat?